Located at Bloedel Donovan Park in Bellingham. A homespun, somewhat smaller version of the gay pride festivals held in large cities. 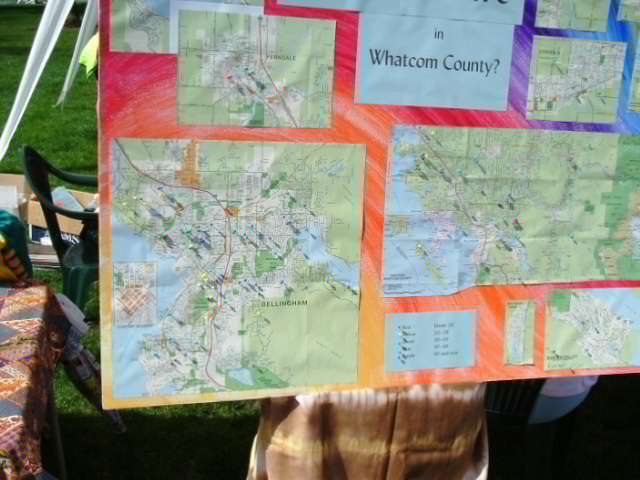 Whatcom County, You're coming up in the world. A good size turn out, given that we are not San Francisco. Shows that a lot of caring people reside in this area. 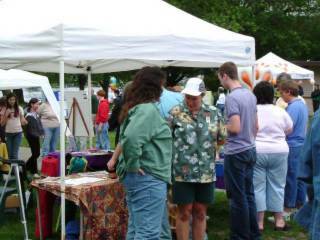 Festival celebrating GLBT folks and the many friends and volunteers we have from non gay sexual orientations as well. It brought Whatcom County out in the (most of the time) sunshine for one afternoon at least. We're here, we're queer. Stick a pin on the map where you live. Dots starting to fill in, even in Lynden. "Stick it to Lynden." Dancing to the heavenly sound of a marimba band. 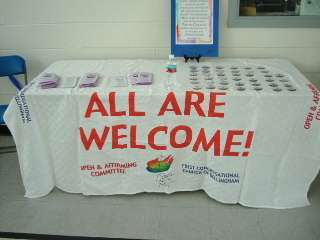 Welcoming table from United Church Of Christ. One of several churches represented. 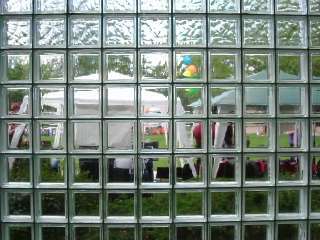 Looking at outdoor booths through glass block wall of Bloedel Donovan gym. It didn't rain till people were ready to pack up and leave. 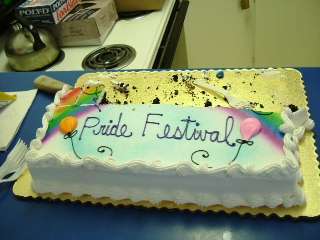 A cake after most of the rainbow was eaten.